This post is kindly brought to you by Woodlot, who compensated me for this sponsored post. All product descriptions, tips and opinions are my own! In our world of go, go, go, there’s a few little pleasures that remind us to slow down and take a moment for ourselves. Drawing a bath at the end of a long workday. Lighting a candle and dimming the lights a bit. Running a simple bar of soap over your tired skin. To recreate the soothing setting above, Woodlot offers simply beautiful, handcrafted home and body treasures to elevate your everyday. Based in Vancouver, Woodlot specializes in soaps and home fragrance made with pure essential oils and packaged in a minimalist design. The clean-burning candles feature double cotton wicks in coconut wax housed in thick, durable glass. Woodlot co-founder Sonia learned how to hand-roll cotton wicks from her mother, a lesson passed down from Sonia’s grandmother in India. Woodlot co-founder Fouad brings his own memories and family traditions to the startup. While growing up on the Mediterranean coast, he helped his father and uncle collect olives for pressing into oil for soaps, a key ingredient in Woodlot’s handmade, air-cured soaps. With its tightly edited collection, you’ll find yourself turning to Woodlot to outfit your bathroom sanctuary time and time again. The delicate, peaceful aromas that fill the room with every light of a candle or lather of a bar will evoke calm in your senses. Woodlot’s Original Candle has found a home on my bathroom vanity. Its subtle blend of eucalyptus, sandalwood and sweet orange provides just enough invigorating “ahhhhh” without over-energizing a calming bath. 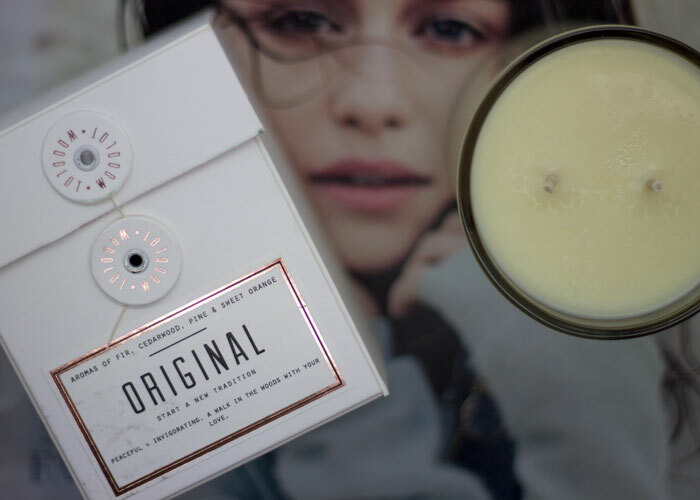 Lighting this candle while running a tub full of hot water sets a mood — me time — that has me feeling grounded and serene. After soaking a bit (perhaps with some salts, because there’s nothing better than a hot, salty bath), I like to lather up my body with the most minimalist beauty product of all time: a bar of soap. 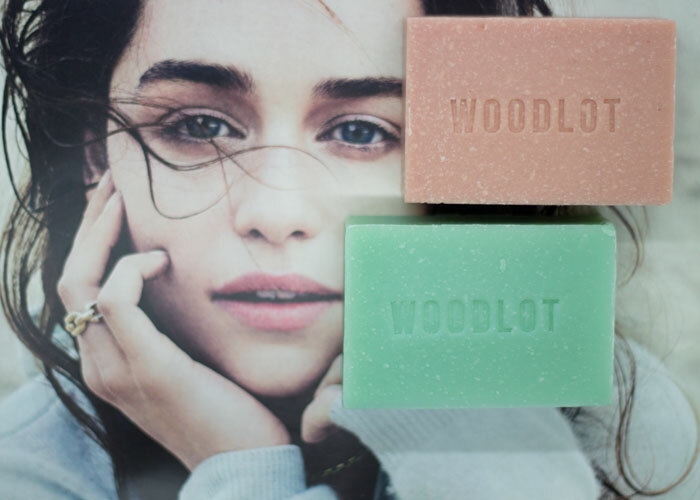 Woodlot’s soaps are delicately fragrant, moisturizing and a delight to unbox. The packaging is chic, display-worthy and unisex. It’s the ultimate simple indulgence. To help you recreate a soothing bathroom sanctuary of your own, Sonia and Fouad are kindly offering one lucky reader his or her own set of Woodlot goodies, including the Original Candle, Cascadia Soap and Amour Soap! If you’re already a Woodlot fan and want to replenish your stash, Woodlot is offering a special 15% off discount only for kimberlyloc.com readers. Use code xokimloc at checkout! 3. Giveaway begins Friday, March 10, 2017, at 12:00 a.m. Central Time, and closes on Friday, March 17, 2017, at 12:00 a.m. Central Time. What simple things in life bring you pleasure? How do you take time for yourself? What are your favorite soaps and home fragrances? Tell me in the comments below!